Chrichton's World: Review Ip Man ak.a. Yip Man (2008): Without a doubt a kungfu classic! Review Ip Man ak.a. Yip Man (2008): Without a doubt a kungfu classic! The first time I had watched Ip Man I was thoroughly impressed because of the way the story was told. It actually tried to do more than just serve as context for the fights. Some of the themes that were explored are quite heavy handed but never to the extent it will depress you. As a biography however it simply won't do. For that it's too fantastic and lacking. 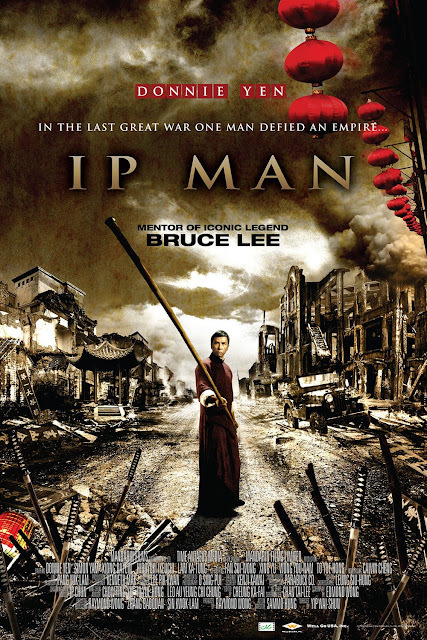 Ip Man is portrayed like he is a hero in the same vein as Wong Fei-hung. Perhaps some facts that are presented are true but I haven't been able to find many sources to verify them. I assume that most of what occurs in this film is fiction. So if you were expecting to learn more about the real Ip Man then I think you will be disappointed. 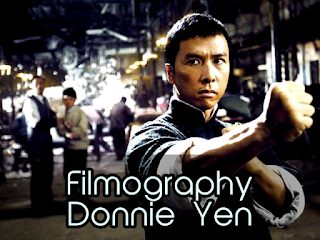 Then again if you are watching Donnie Yen films to be educated you are doing something wrong. Speaking of Donnie Yen. He certainly has become a better actor. He actually is capable of acting non verbally. Expressing a lot with very little. It's therefore a pity that they haven't given him a deeper story to work with. But most of the dramatic events he is involved in are very effective and make the majority of the fights incredibly exciting. The fight choreography is phenomenal which should not be surprising since it's done by Sammo Hung.. There are some quick cuts here and there but never to the extent that it removes the enjoyment of the fights. And they made sure that it does look like the punches land especially when Yen does his lightning fast boxing. Like I said the dramatic events make the fights more exciting but it's also the music and the heavy tone that make you feel there is something at stake. Nationalism runs deep in the film however it makes sense and it's never offensive or ridiculous since one of the Japanese officer is shown to be fair and respectful at times. Ip Man looks like a film that is made with a lot of care and money but ultimately does feel like an old school Kung Fu flick. A must own for sure!